Speedrunning is the art of finishing videogames in as short a time as possible. It's an odd type of competitive gaming but also fascinating, because truly dedicated adherents come up with amazing ways to beat games in times that, to non-followers, seem literally impossible. 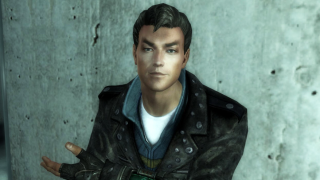 Last week a guy set a new record by finishing Fallout: New Vegas in a little over 20 minutes, and this week a runner named Rydou wrapped up Fallout 3 in less than 15. Rydou's run, like Kungkobra's New Vegas record-setter, was an “any%” run, meaning that anything short of mods and console commands is permissible in the quest for a better time. Accordingly, Rydou quicksaves and loads to clip through objects and walls, and takes advantage of the “speedcripple” glitch almost immediately. He's also playing on “easy” mode, so even when he does get shot up it's not a big deal. The video of the speedrun isn't much fun to watch if you're looking for a conventional Fallout 3 experience, but Rydou's annotations do a nice job of providing insight into what he's doing, and why he's doing it. They also suggest that his 14:54 record might not stand for long: It's only six seconds ahead of the previous record (which itself lasted for less than two months) and as he points out around the 10:10 mark, he hits a “run-killer” when he has trouble clipping through a rock. Speaking of speedrunning, don't miss the 2016 edition of Awesome Games Done Quick, a huge speedrunning marathon featuring some of the best runners in the business working their magic for charity—specifically the Prevent Cancer Foundation. ACDQ 2016 kicked off today and runs (get it?) until January 9.